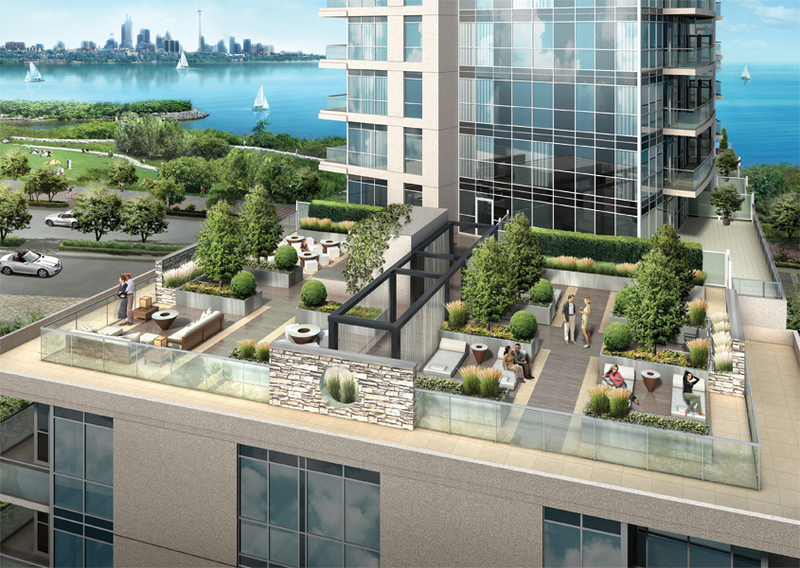 Ocean Club Waterfront Condominiums gives you the sheer luxury of condominium living right above the lush, verdant beauty of Humber Bay Shores Park. Steps from groceries, fine dining, and TTC, with easy access to the Gardiner Expressway, Ocean Club gives you cottage country views and cottage country quiet with the city right at your doorstep. When it comes to amenities, Ocean Club continues its beachfront theme with a resort hotel's collection of features: 24-hour concierge service, an aquatic centre with cascading hot tub and saunas, guest suites, bicycle parking, and a 3,800-square-foot rooftop deck featuring lush landscaping and barbeque stations. With breathtaking lakefront sunrises and sunsets just outside your window, Ocean Club gives you a vacation spot of your own: twenty-four hours a day, and seven days a week. 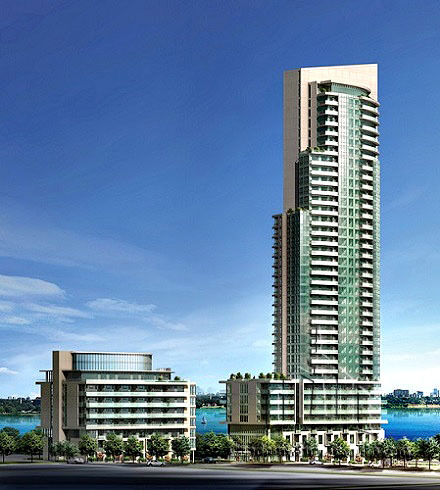 The moment you cross Lake Shore Boulevard and drive along Marine Parade Drive you are enveloped by a bountiful green landscape and stunning views. Lose yourself in a meadow of wildflowers; immerse yourself among a sea of fluttering butterflies; energize yourself with a stroll, jog or bike along the waterfront trails at Ocean Club you can surround yourself by pure nature every single day yet still be in close proximity to the city.